It’s been a great experience taking part in the unveiling of the A93 TRUCK at the official launch party that took place on Wednesday, 20th March at @moleculedxb, @D3Dubai. The event hosted a massive line-up of amazing local stars in Dubai varying from dope MC’s to DJ’s and Dancers also at the event we had lots of retro arcade games and activities to bring back all that 90’s feel! After wowing Dubai with the reveal of the Reebok #A93Truck last night, consumers across the city can now take part in celebrating the return of the ’93 Aztrek and the decade in which it was born as the truck makes its way across Dubai. Honoring the era, the opening night was the very essence of 90’s nostalgia, reminding all in attendance what it feels like to be back at a 90’s house party – a time of inclusivity, self-expression, and boldness. Taking on the mic to welcome the A93 to the region with a hip-hop performance was rising-star Moh Flow followed by legendary DJ Lethal Skillz with more local-talent surprise performances including DJ Alysha and singer Robn. Fast forward to today, the Reebok #A93Truck is making its way across Dubai stopping in at three locations around the city before steering the 90’s vibe into Riyadh and Jeddah in April. In addition to having a retail space for consumers to shop Reebok’s 90’s inspired products, including the all-new Aztrek, the “Pimp-My-Ride” inspired truck will be stacked with retro throwbacks and a series of different activations free-for-all to attend. _You can check out more Music from DJ Lethal Skillz on [Dsound] and [Musicoin]_. Lethal Skillz, an Arabic hip-hop DJ of Lebanese origin from Beirut, entered Hip-hop in the mid eighties fusing Hip-Hop with oriental Arabian culture and tradition, while creating a platform for Arabian emcees. A heavy weight in the genre of Turntablism in the war-torn Middle East and Northern Africa. LS also known as the “PhonoSapien Monk of da 3’rd World” has managed to maintain his longevity in Hip-hop for over a decade. 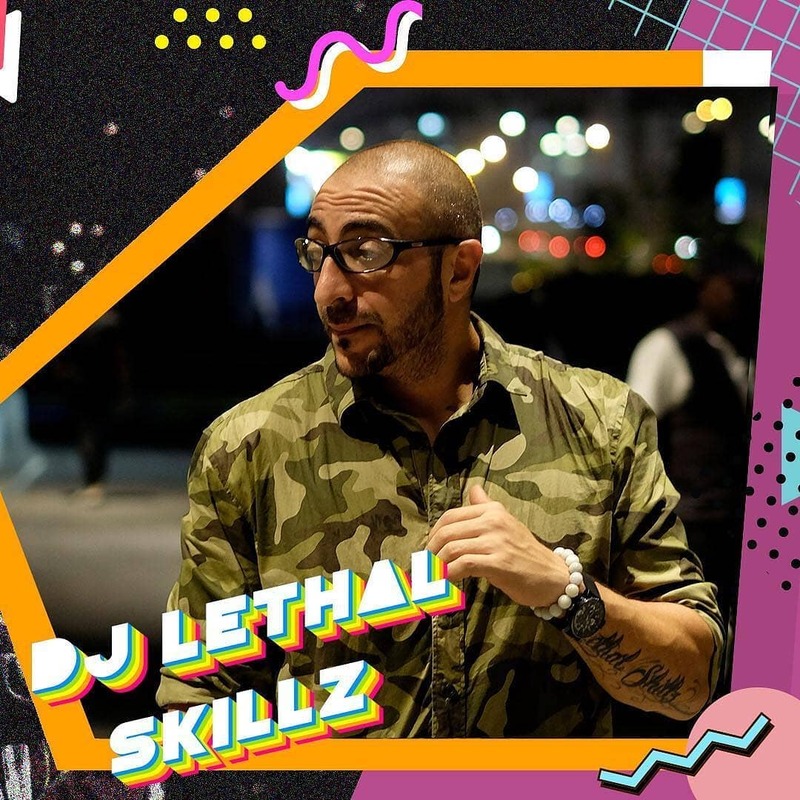 DJ Lethal Skillz is the oldest and most established turntablist in the Arab hip-hop movement. Besides being a world-class DJ he has also distinguished himself as a prolific producer and long-running ambassador for the Arab hip-hop massive. He has two seminal Arab hip-hop albums to his credit: New World Disorder (2008) and Karmageddon (2012), which features nearly everyone in the Lebanese hip-hop scene past and present and many of Arab hip-hop stalwarts from the region and Diaspora! Throughout his journey he’s collaborated and performed with major historical figures in hip-hop lore – including opening up for the likes of Pharoahe Monch and M-1 of Dead Prez at The Forum, Kentish Town, in London, England; as well as playing with the likes of DJ Jazzy Jeff, De La Soul, Dj Q-bert, Rob Swift, Dj Akakabe, Co-ma, DJ Tony Touch, DJ Vinroc (5th Platoon / Triple Threat), DJ Shortkut and DJ Apollo (ISP / Triple Threat) World DMC Champions as well as mainstream acts like Timbaland, 50 cents, Whokid, Big Ali, Missy Eliot, Sean Paul, MIMS, Coolio to mention a few…. For more info, music and updates check out the links below.